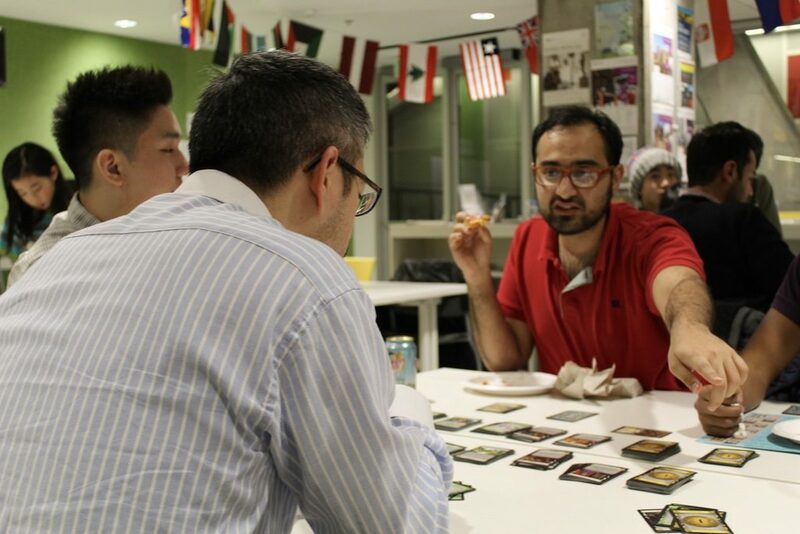 Once a month the Dalhousie International Centre hosts a Language Spot; a safe space for local and international students to practice their linguistic skills. The program was started last year in order to provide a new way for international students to practice their casual English. “To have that safe spot for people to practice their languages without judgment is very important,” said Dolly Mirpuri, engagement coordinator for the International Centre. She said it’s often a lack of confidence that holds people –– including herself –– back from speaking in a language that isn’t native to them. Though the primary focus of Language Spot is on English, the organizers from the International Centre encourage students and volunteers to share knowledge of other languages. The idea is that there can be an exchange of culture between volunteers and attendees. Each Language Spot event is a different recreational activity. Last month the Language Spot program hosted their event at the Emera Oval. According to Conrad Pratt, a volunteer, it was below -10 C.
Pratt was inspired to volunteer for Language Spot after he spent last year teaching English in South Korea. According to Dalhousie’s website, 20 per cent of its students are international students. It’s unclear what subset of these students don’t speak English as their first language. The university also says its students represent over 115 different countries. With this kind of claim comes a commitment according to Jennifer MacDonald, Head Teacher for Dalhousie’s ESL program. “If a university or an institution is admitting a very linguistically-diverse student group then they kind of have an obligation to provide the resources so that everyone can be successful,” said MacDonald. MacDonald teaches in the English for Academic Purposes (EAP) program. A program in place so students can improve their English and gain admission to Dalhousie. Although she believes the university could be providing more resources, she is happy with the improved support she sees coming from the International Centre. MacDonald has conducted training sessions with the Language Spot volunteers in order to give them more insight into how to facilitate language exchange. According to her, many of her own EAP students attend Language Spots alongside admitted international students. On March 28 the International Centre hosted a Language Spot in partnership with the Indigenous Student Centre. They taught a workshop on the tradition of tobacco tying. “We find it a great way to integrate international students into Canadian or Nova Scotian culture which is the Mi’kmaq culture,” said Dolly Mirpuri ahead of the event. According to Statistics Canada, in 2011, 20 per cent of Canada’s population reported speaking a language other than English or French at home. ￼MacDonald believes the way we speak about multilingual students’ needs to change. She believes that this so-called ‘deficit framing’ is inaccurate and discouraging for monolingual and multilingual people alike.